Gregor is a Co-Founder of the BMW Startup Garage and Executive in Residence at IMD Business School. He advises corporates on how to innovate through startups and invests through his venture fund Gründerzeit.vc. Before BMW, Gregor started various companies in Silicon Valley and Europe. 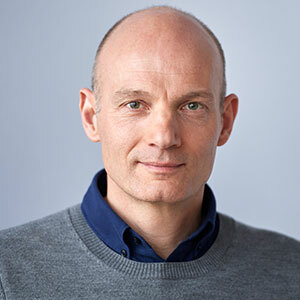 Prior, Gregor worked at IDEO (Palo Alto), which he helped transform into a strategic innovation consultancy, and Roland Berger. Gregor studied at TU Stuttgart, Harvard and the American Conservatory Theater in San Francisco.